I’m Ed Smith, a Sacramento Turo Accident Lawyer. The decision to rent a vehicle from a stranger is not necessarily an easy one to make. With Turo, the “Airbnb” for cars, its platform makes it easy to connect with locals in renting interesting vehicles instead of the normal, everyday ones from typical rental car agencies. Whether renting a car for your own personal use or taking a road trip with friends and family, consider using Turo to try something new today. Turo is a considerable alternative to expensive rental car companies as you receive the same exact vehicle you reserved for a fraction of the cost and save time by skipping the long lines at the rental counter. The interface is a plus in offering user-friendly navigation and prompt response times to make your trip smooth and efficient. This service is also personable in the sense that you are renting a vehicle from an actual person rather than a rental car company, who may make reasonable accommodations for your needs such as delivering your rented vehicle to the airport. A person we spoke with traveled down to Huntington Beach to attend the Cars ‘N Copters on the Coast event earlier this year. While there, she took to Turo to rent a white on black 2016 BMW M235i for a day. The rental period included 100 miles and came to a total cost of $138.39. This tab was comprised of a $75.00 trip price for the BMW, $10.89 trip fee, $22.50 young driver fee (applies to those under the age of 25) and $30.00 for Turo premium liability coverage. Fortunately, this renter was able to save $25.00 by signing up with a Turo affiliate’s promotion link, which came to a grand total of $113.39. This price wasn’t too bad for a sporty 2 series, especially in the Orange County area. The featured images of the pristine BMW M235i on Turo seemed like a dream to the renter, with her excitement bursting at the seams when it came down to meeting with the owner to pick it up from their home. However, that experience proved just the opposite. The owner showed up a few minutes late at the meet-up and claimed to have forgotten the keys to that particular BMW at their office. She waited nearly 30 minutes for the owner to return, all while impatiently staring down the luxury sports coupe parked in the driveway, which looked like it had not been washed in a few weeks. When the owner returned and handed the keys over, disappointment quickly emerged as she sat down in the vehicle, which was quite filthy with crumbs and debris in the footwell and throughout the car. To avoid confrontation with the owner, the renter later contacted Turo during the trip to relay their issues with the vehicle. Turo customer service advised the renter to return the car in the same condition it was received and upload photographs of the concerns to the “Trip Photos” tab in the app when the trip was over. The resolutions process was reasonably straightforward, with customer service promptly crediting this renter $20.00 back on their credit card and issuing a Turo travel credit of $25.00 to make things right. Aside from this complication, the performance of the BMW M235i made the difference with its superb handling (sport steering wheel and suspension) in addition to sport plus mode and paddle shifters for added power and fun. Car rentals are relied on by many for a wide variety of reasons. Whether on vacation or a personal vehicle is in need of extended service, the use of a rental car can come with significant drawbacks. 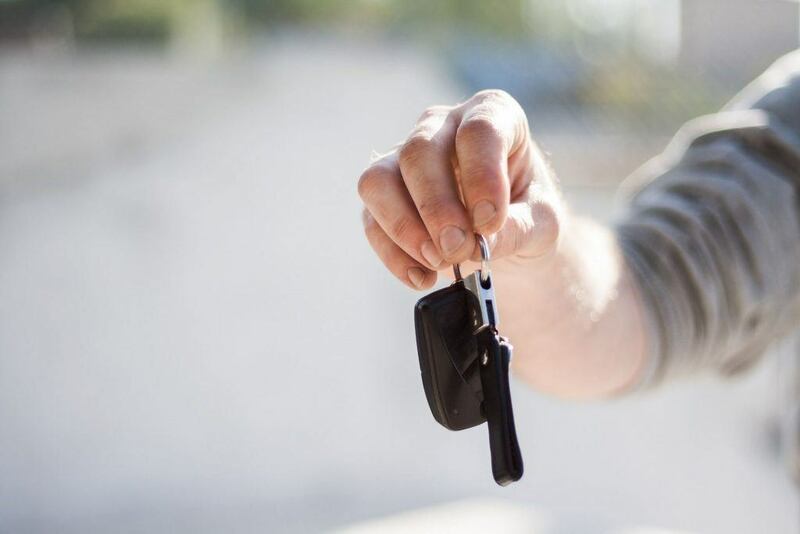 While people may feel that using a carsharing service like Turo can be extremely useful, the liability insurance offered through the platform comes with complicated terms, which can leave some with many, unanswered questions following a car accident. If you have been injured when driving a Turo car or involved in an accident with a Turo vehicle, it is crucial to contact an experienced personal injury lawyer in Sacramento. An attorney with years of experience can help you through the process of filing a claim for damages incurred and communicating effectively with insurance companies to reach a favorable outcome on your behalf. I’m Ed Smith, a Sacramento Turo Accident Lawyer. If you or a loved one have been injured in a traffic accident involving a Turo vehicle, you need the assistance of an experienced attorney. Please feel free to call me any time at (916) 921-6400 or toll-free at (800) 404-5400 for free, friendly legal advice. I am a proud member of the National Association of Distinguished Counsel. This organization recognizes the top one percent of attorneys from around the U.S. I belong to the Million Dollar Advocates as a member of California. Membership of this forum is limited to trial lawyers who have won $1 million or more in verdicts and settlements. If you would like to learn about how I handled cases in the past for my clients, go to my Verdicts and Settlements page.